During the Edo period, under the rule of the Tokugawa shogunate, Kanazawa thrived as a castle town under the exceedingly influential Kaga Domain. It was the most populated city after the three large cities of that era (Edo, Osaka and Kyoto) alongside Nagoya. 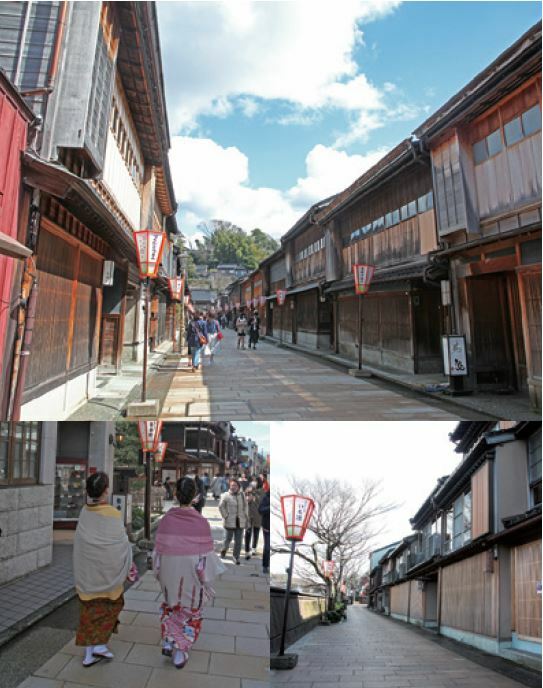 The streets of Kanazawa still largely maintain their historic feel as they were fortunately spared from any American air strikes during World War II. Despite the many attractions Kanazawa has to offer, its location on the Sea of Japan side of the country meant that international visitors seldom visited the city since many travellers tended to start their adventures from Tokyo or Osaka, on the opposite side. However, the situation has changed, with the opening of the Hokuriku Shinkansen in March 2015, improving access to all the major cities along the Sea of Japan side of the country. With the convenience of the city being located only an hour away from Nagano Station – the entry point to holiday resort destinations popular amongst ski-goers such as Hakuba, Nozawa Onsen and Shiga Highlands – Australian skiers, and other foreigners alike, have started to flock to Kanazawa for short trips during their extended stays over in Nagano. The wonder of Kanazawa can be described in a single sentence; it has all the beauty of historical Japan concentrated into one single place. It is a city with multiple facets of beauty – a samurai town structured around the centrally located castle; a lively town of merchants; and a town of temples to protect the area. Just merely walking through the streets of Kanazawa will give you a sense of how gorgeous the city is. Alongside Asano River and Saigawa River, which flow through the city, are 3 historical places with well-preserved streets of old known as the Chaya Districts (tea house district). Chaya districts used to refer to red-light districts where geisha and courtesans gathered, however, nowadays it merely notates an area comprising of establishments where geisha experiences can be had. Of the three Chaya Districts, the largest and most glamorous of them all is Higashi Chaya District (East Chaya District). Delicate, lattice-roofed tea houses beautifully line the streets of the district. When night falls, it shows its other enchanting side as the lamps illuminate the streets to bring about a mysterious allure. With an array of stylish cafés and accessory shops scattered around, it can be easy to spend a whole day leisurely shopping and seeing the many sights. Some places also offer geisha experiences aimed at international tourists, which are definitely worth looking into at tourist information centres. The sight of water flowing freely through the city is another distinctive characteristic of Kanazawa. Water is taken from the upstream flow of Saigawa River and brought down before using the inverted siphon method to funnel it up to the castle. This technology was said to be the highly advanced during its time. Mud walls and cobblestone streets take you on a trip back in time over at Naga-machi Buke Yashiki District, where middle-class samurai of the Kaga Domain once called home. The district allows you to see how the samurai of the time once lived. A walk down through the samurai town also wouldn’t be complete without stopping by the Tera-machi Temple Area, one of the many temple areas in Kanazawa. As a defensive strategy against farmers rebelling against the ruler of the time, temples were erected in the areas surrounding Saigawa River – giving rise to the birth of Tera-machi Temple Area. In a similar fashion, Utatsuyama Temple Area on the eastern side of Kanazawa Castle, and Kodatsuno Temple Area to the south-east at Kodatsuno were also constructed. Myoryuji Temple, a ninja temple famous for its numerous ninja traps, headlines the list of almost 70 temples in the Tera-machi Temple Area. 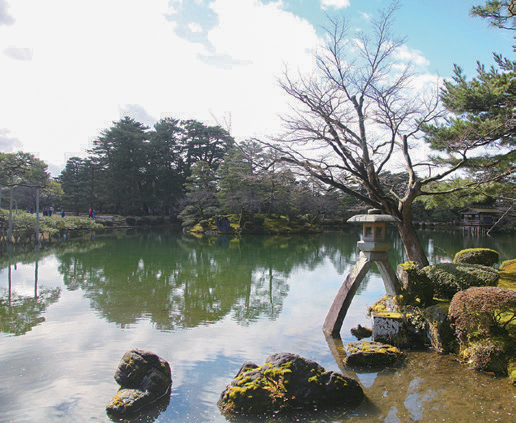 Standing proudly alongside Kairaku-en in Mito and Kouraku-en in Okayama, is Kanazawa’s Kenroku-en to make up the Three Great Gardens of Japan. Kenroku-en has rich history as a renowned daimyo tei-en (feudal lord garden) and was constructed throughout many generations of Kaga feudal lords. Located in central Kanazawa, visitors from within and outside of Japan converge on the garden to enjoy the beautiful seasonal scenery. Kenroku-en is not a “compact style” garden like the ones which are viewable and to be enjoyed from the abbot’s quarters or temples or drawing rooms of castles. Instead, it takes full advantage of the vast area it occupies with a large pond dug into the grounds, tsukiyama (man-made hill), as well as mansions and tea houses dotted around the place. You are able to stroll around to these various attractions in this “go-around-style” garden. “Taoist Immortal Vision”. It is the idea to construct a pond to emulate an ocean with an island inside of it to symbolise the immortal island of Taoist belief. The feudal lords were said to have constructed the garden to promote longevity and timelessness. More details about the origins of Kenroku-en can be found in English on their official website, so it is highly recommended to read up on the history before seeing it in all its glory. The carefully though-out, man-made garden offers a unique sense of charm contrasting with the beauty of Mother Nature’s creations. The increase of international visitors to Kanazawa in recent times has led to the expansion of various programs for tourists to have cultural experiences relevant to historical Japan. Whilst there are various experiences to be had all over Japan, there are some that are unique to Kanazawa. Noh experiences are one of the more unique ones. The Noh style of Kanazawa was developed from the ceremonial song and dance of the samurai Maeda clan in the Kaga Domain. The style was protected, nurtured and encouraged amongst the masses, leading to the establishment of the Kaga Hosho style. 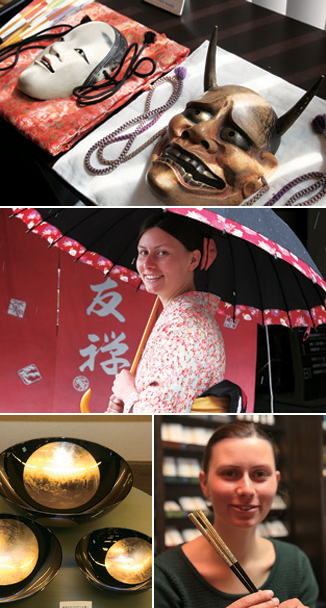 This is why Kanazawa came to be known as, “the town where Noh chants rain from the sky”. This vast history led to the construction of the Kanazawa Noh Museum to house and display the precious Kaga Hosho Noh masks and costumes. 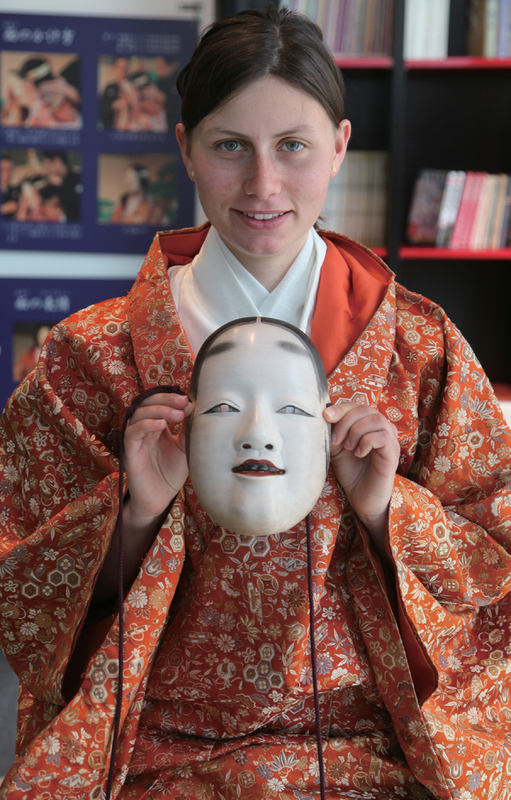 Visitors to the museum can also partake in the actual wearing of a Noh mask during their visit. Kanazawa is also well renowned for its Kaga Yuzen (Kaga-style dyed textiles) and gold leaf. In fact, almost all of the country’s gold leaf is produced in Kanazawa. Experiences that allow you to don kimono made of dyed fabrics and make your own chopsticks using gold leaf are highly popular. Try out the unique experiences for yourself and take home memories to cherish. Another spot not to be missed, is the 21st Century Museum of Contemporary Art, Kanazawa. next to the Kanazawa Noh Museum, so there really is no reason not to go! 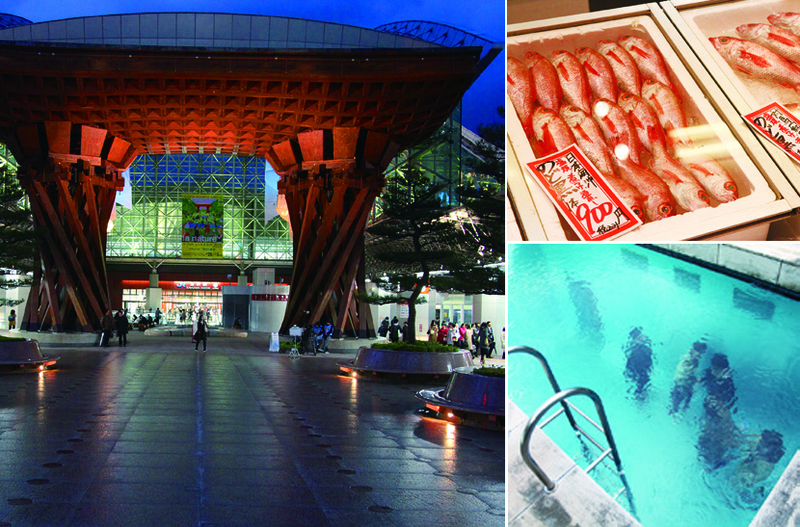 Last, but certainly not least, is the deep food culture of Kanazawa. Along with the plethora of Kaga grown vegetables (Kaga yasai), Kanazawa is also known for how distinct its food culture is from the rest of Japan. The seafood found around the area is especially worth bringing to the spotlight. The location of the city on the Sea of Japan side of Japan means that it has access to a variety of seafood which cannot be obtained from the Pacific Ocean side of the country, this also leads to a unique foodie experience to be had. Of the unique produce found in Kanazawa, nodoguro (blackthroat seaperch) is particularly sought after by Japanese and international tourists alike. It is a white fish with generous fatty deposits, making it utterly delectable. Nodoguro, along with various other delicious types of seafood, can be found by visiting Omi-cho market in central Kanazawa. Locals visit the market for their grocery needs, however, a large number of tourists also drop by in order to experience life as a local and see all the marine produce on offer. The epicure in you will want to jot down this locale as a spot to check out. You can also taste local produce at one of the many izakaya (Japanese-style pub) located all around the city. 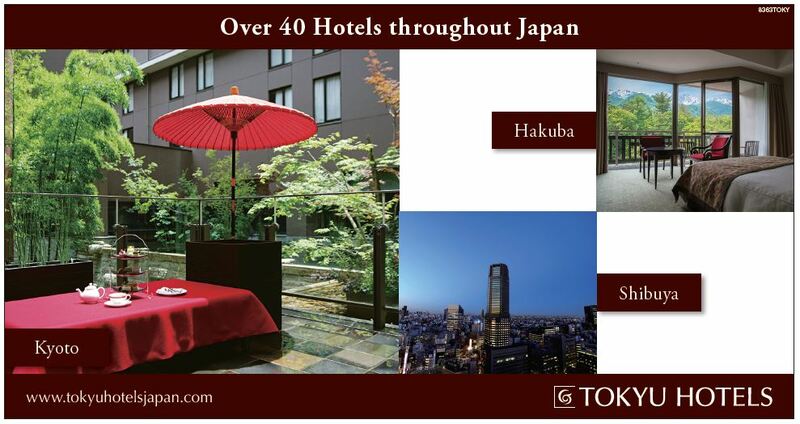 Drop by the reception desk of your hotel and ask the concierge for recommendations about which izakaya to visit. 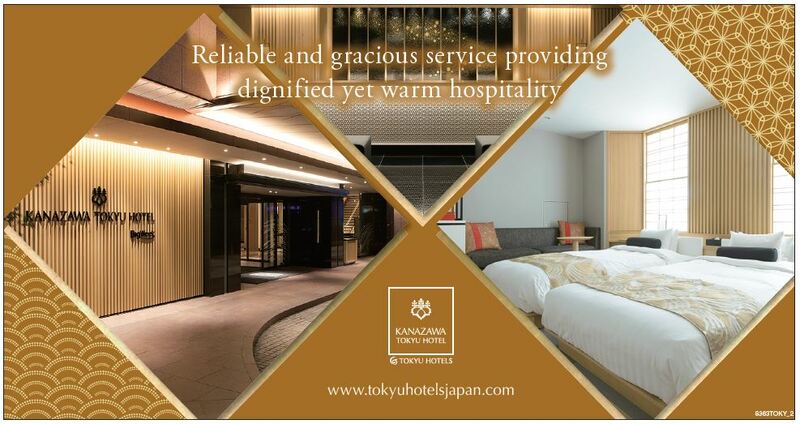 It goes without saying that Nagano provides a great central base to visit Kanazawa, however, now that the city is accessible from both Tokyo and Osaka with a single trip on the shinkansen, why not have a little visit over to Kanazawa on your next stay in one of the major cities of Japan?